Buy The Sneaky, Snacky Squirrel Game! Use Rewards for The Sneaky, Snacky Squirrel Game! 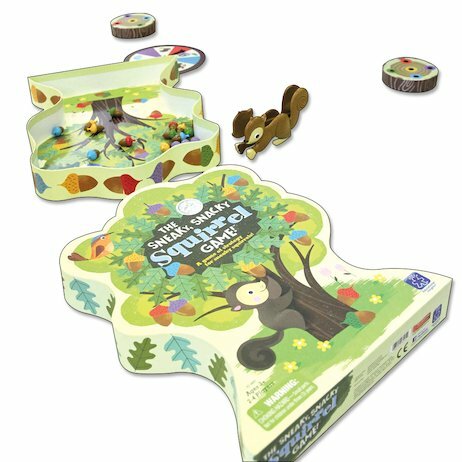 This lovely nature-themed game for 2-4 players develops colour matching, strategic thinking, counting and fine motor skills. Join some hungry forest friends who need your help to find food for the winter! Spin the spinner and squeeze the squirrel’s paws to dispense lots of coloured acorns. Hoard one acorn of each colour in your tree stump to win the game. Includes one squirrel squeezer, 20 coloured acorns, a game spinner, four tree stumps and instructions.